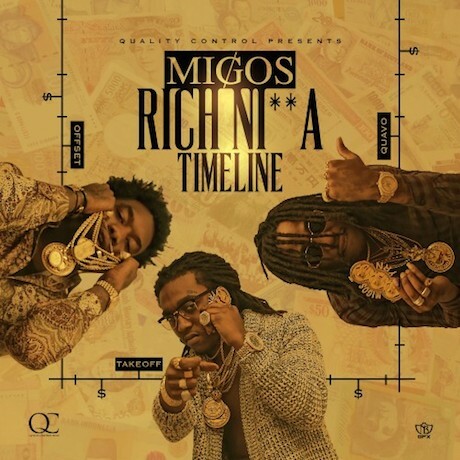 The Migos takeover can't be stopped, as the Atlanta rap crew have returned with their umpteenth mixtape, Rich Ni**a Timeline. The 18-track release offers some of Migos' most polished work yet. Alongside Zaytoven, the release features production from Murda Beatz, Swift Bangs, Deko and someone named Cheeze Beatz. Stream or download Rich Ni**a Timeline via the embedded link below.